Kingsmill-Mapleton WI contributed to this parkette in Lyon in 1998 to represent South Dorchester Township (now Malahide). 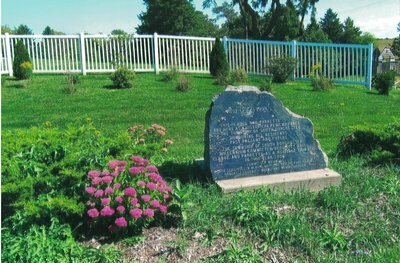 This plaque and parkette are here as a historical remembrance to the Township of South Dorchester honouring all residents past, present, and future. For commercial use, please contact the holder of the original.